How do you serve Pizzaiola? 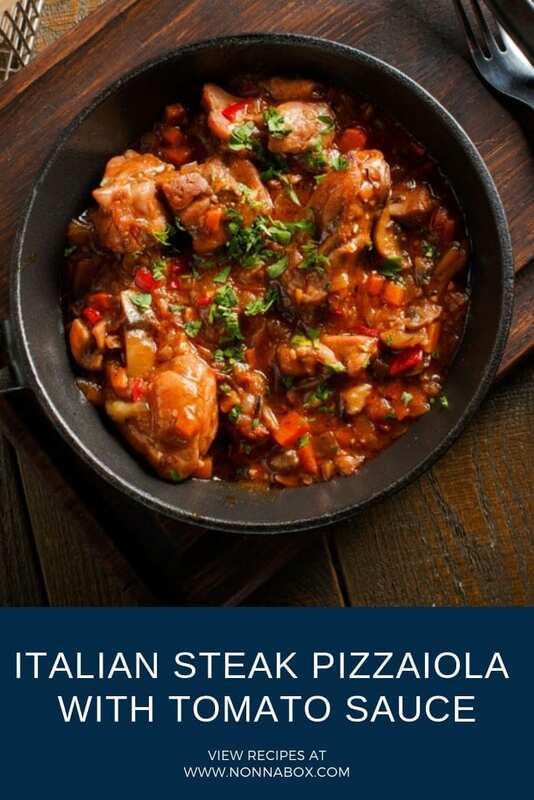 If you have ever ordered steak pizzaiola from a restaurant menu expecting a traditional pizza to come your way, you were undoubtedly surprised by what you received. Steak pizzaiola does not resemble a modern day pizza in any way. So what exactly is authentic steak pizzaiola, where did it originate and how do you make it? You will find answer to all of these questions (and more) if you keep reading! The precise origin of steak pizzaiola is hard to pin point as several regions take credit for the dish. There is Sicilian steak pizzaiola which typically uses beef shoulder and there are also versions from Campania. Despite many areas of Italy making pizzaiola, the ingredients used in the dish and the nature of the cooking process tends to point to Naples as the original home of this dish. True pizza dates back to the 1800’s and was a dough with a light topping of tomato sauce. Tomato sauce used in pizza found its way into many other dishes in Italian cuisine and, what became known as pizzaiola, is one of them. That sauce, first created in Naples, is the key to pinning pizzaiola to this region of Italy. The exact pizzaiola definition is a simply meat in pizza style where the tomato sauce, which made pizza so popular, is used to braise meat with a slow cooking process that helps breakdown any tough proteins in the meat and make it tender. Due to the delicious result of cooking cheaper meats in sauce, pizzaiola was quite common with the low income class in Italy. 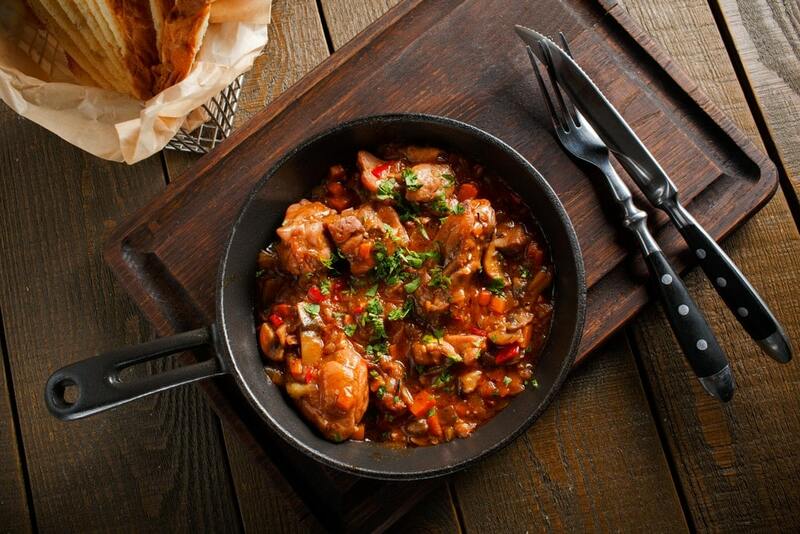 However, like many Italian dishes, pizzaiola comes from the working class table and is now a very popular dish . The ingredients in steak pizzaiola may vary from place to place, even from one Italian family to the next as everyone has their own version. Pizzaiola is, after all, tomato sauce based and therefore every Italian must have their own secret pizzaiola sauce recipe! Basic components do however stay the same. Beef, tomatoes, onions, garlic, basil and oregano are basic ingredients of every Italian steak pizzaiola recipe. 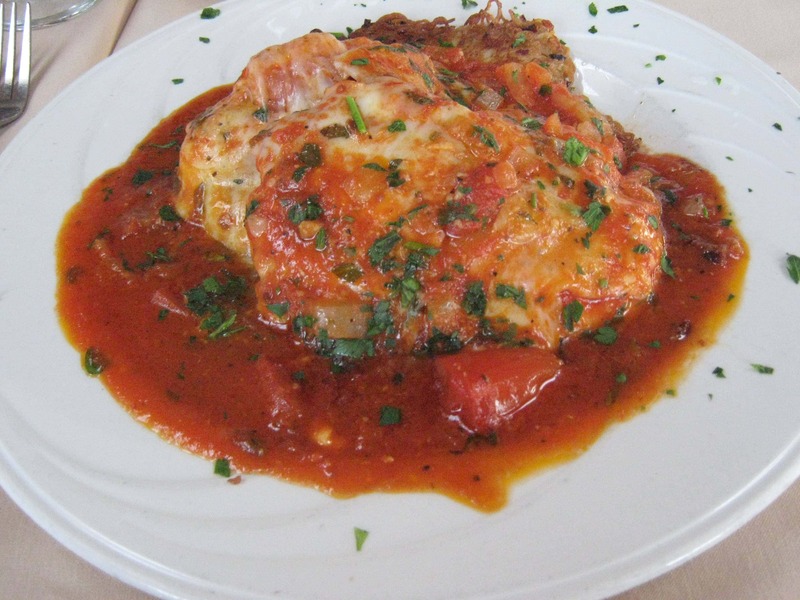 While steak pizzaiola is the most common, you can also find versions of pizzaiola chicken as well. In your pizzaiola research, you may even come across a ‘carne pizzaiola recipe’ which simply means any meat pizzaiola – it really is a flexible dish! As touched on before, the term pizzaiola really is simply referring to the sauce and cooking technique rather than a particular dish. So how does one cook pizzaiola? Low and slow is the answer and the only two guidelines needed to make this Italian dish. To make the best steak pizzaiola recipe possible, you need to cook the meat slowly over a lower heat to allow it to absorb all the flavors of the tomato sauce and to let it cook thoroughly, tenderizing any tough meat you add to the sauce. One way to do this is to make your steak pizzaiola recipe oven friendly. Making steak pizzaiola in the oven will involve quickly browning the meat in a sauté pan and then moving it into a casserole dish. The tomato sauce is poured over the seared meat and then baked for over an hour until the meat is almost falling apart. Another way to achieve the low and slow cooking process is to get out your crock pot (check out the latest deals)! A steak pizzaiola slow cooker recipe is all you need to very easily make this dish. Similar to the oven method, the steak will be pan seared and then added to the slow cooker with sauce. A few hours on low heat and your authentic steak pizzaiola is ready- no fuss at all!. The slow cooker pizzaiola is great as it produces some very tender steak thanks to the extended cooking time. Once you have made your steak pizzaiola, how do you serve it? While you can certainly serve the pizzaiola on its own, it is the perfect accompaniment to spaghetti. A steak pizzaiola sandwich is also a fantastic idea as the delicious sauce will soak into the bread. Steak pizzaiola with cheese (mozzarella or parmigiano) is also a tasty twist you can add to any pizzaiola recipe. The versatility of steak pizzaiola may be why it is still such a common dish in Italian households. A great use for lower quality cuts of meat, a recipe that is easy to make and a meal that is versatile and full of fresh flavors – who could pass up steak pizzaiola! This steak pizzaiola recipe is delicious and easy to make, with the best tomato sauce recipe! Season the steak by rubbing each side with the salt. Add the olive oil to a sauté pan and sear the steak over high heat for 2 minutes on each side. Remove the steak from the pan and set aside. Add the onions to the pan and cook over medium heat until translucent. Add the bell pepper slices and cook for another 4 minutes. Add the garlic and stir, cooking for one more minute. Add the peperocini, crushed tomatoes, oregano, basil, 1 cup water and pepper flakes and stir together. Add the steak back to the pan along with the sauce. Cover and cook for 20 minutes over low heat. Flip the steak in the pan and cook for another 15 minutes. Serve over pasta, as a sandwich or alone garnished with parsley. Extra tip: use a crock pot like the one below for extra soft meat. or read our slow cooker reviews to find what is the most suitable. Well written article. Thanks for the research! My Aunt Louise made the best steak pizza iola ever bud sadly the recipe was lost with her. This seems the closest I have ever seen and read. I plan to make it this weekend but I am giving 5 stars just based on the ingredients. Sounds wonderful, will keep you posted. Grazie mille Licia! Please let us know how it turns out! Just Made it and It was so good, Thanks. Happy that you liked it! Grazie mille.